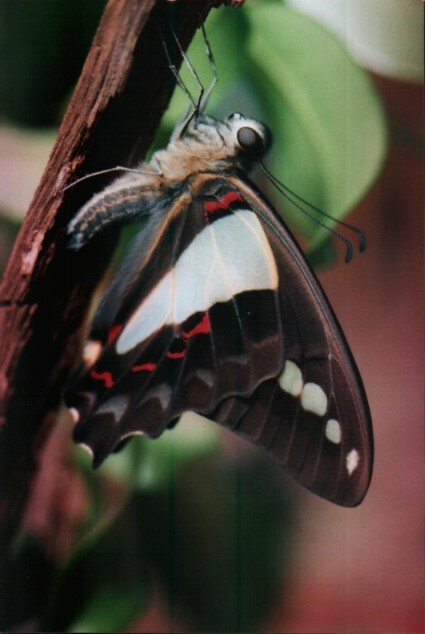 This site is dedicated to sharing the homeopathic proving of the Blue Triangle Butterfly - Graphium Sarpedon Choredon. It is made from a living butterfly that got to fly free afterwards, leaving us a very potent little remedy. i hope you enjoy and help to spread its wings even further. 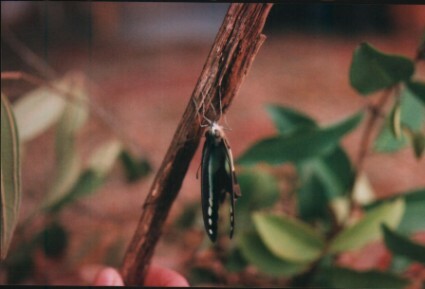 The blue triangle butterfly just after it hatched, while hanging upside down to fill its wings with the vital fluid that enables flight. photos: © Justin Armstrong, 2005. This proving has been made available online for free, if you feel to donate for the time and effort involved please press the button below, and a hearty thankyou!